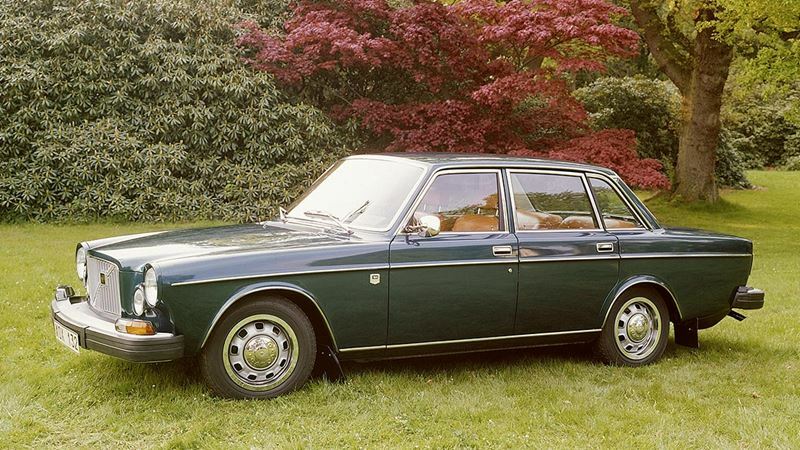 The principal difference in technical terms was that the Volvo 164 had a 3.0-litre, in-line, 6-cylinder engine under the bonnet. This engine had been developed from the 2.0-litre, 4-cylinder engine in the 140 models. From the beginning, it had two carburettors and it was later also available with fuel injection. This was the first occasion for 10 years that Volvo was able to offer a 6-cylinder car. The last time had been when the taxis in the the 800 Series were built. However, when it came to cars which were aimed at normal car buyers, Volvo had not had a 6-cylinder car for almost 20 years, i.e. since 1950 when production of the PC60 ceased. As far as the exterior of the 164 was concerned, the front had its own styling. The bonnet was longer to make room for the larger engine. The shape of the front also radiated greater prestige as a result of the large, relatively high grille. The Volvo 164 was produced between 1968 and 1975. All the cars produced during the last year were sent to the USA. B30 6-cylinder, in-line, overhead valves, 2,978 cc (182 cu. in. ), 88.9 x 80 mm, 135-175 bhp. Length 471.4 cm (185.6 in), width 173.0 cm (68.1 in), height 144.0 cm (56.7 in), wheelbase 272.0 cm (107.1 in), kerb weight 1,451 kg (3,199 lb).